I found drawings of art deco jewelry that have never been made to my knowledge. These were just the graphic renderings of a jewelry possibility. I had to try my hand by adding my own concepts to the sketch. 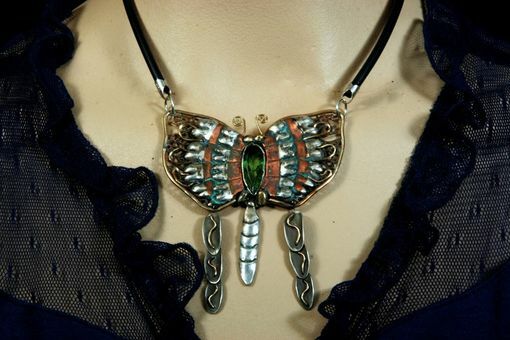 I used copper silver and an actual vintage stone for the body of the butterfly. Tell me what you think. I love feedback.